Give your laundry room a makeover with quality parts that fit every budget. 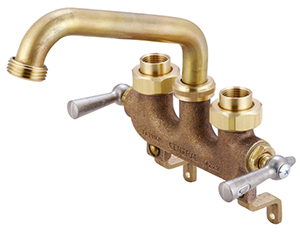 Symmons laundry room plumbing fixtures are particularly helpful with their integrated valves. 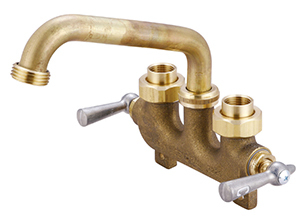 Avoid the unsightly appearance of two valves when one will do just nicely. 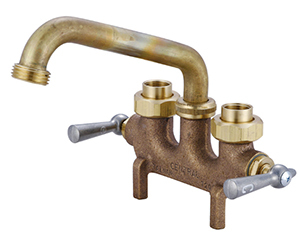 Continue your remodeling with Union Brass laundry tub taps. They're sturdy as well as attractive to the eye. Make laundry time a joy with Central Brass utility room products. 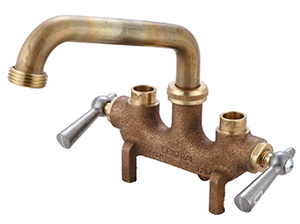 Faucets and mounts create a seamless appearance on any sink. Try Mustee laundry sink supplies because they have the latest styles and product updates. Laundry room faucet hardware should last for many years with the proper maintenance behind them. Try a new sink or opt for a laundry tub as a remodeling addition. Laundry rooms add value to any property, especially when large families decide to move in. 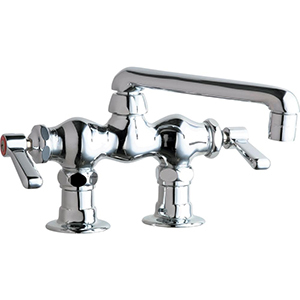 We offer a variety of laundry sink faucets from Chicago, Central Brass, Gerber and Union Brass. 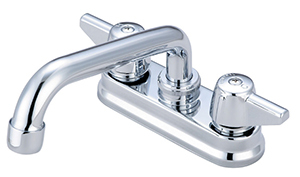 Laundry Faucets include 4"deck mount and 3-3/8" vertical mounting. Single and double laundry tubs for basements and laundry utility areas.